This winter special will have you shivering... with fear. 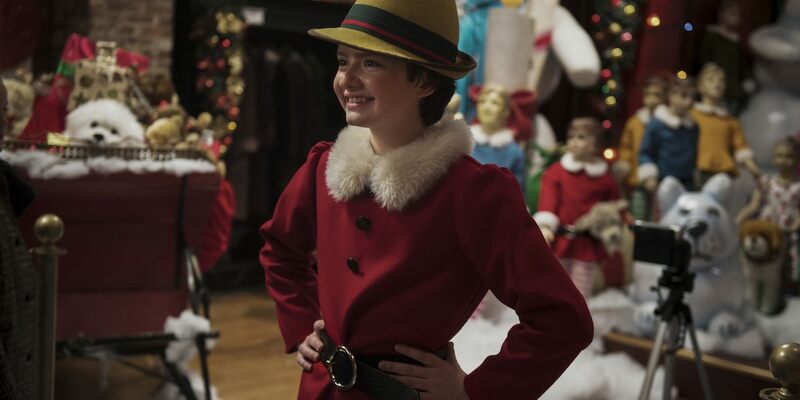 ‘Twas the night before Winter Solstice and all through Greendale, not a creature was stirring, except Madam Satan whose brilliant mind was once again creating a plot to fool Sabrina and, thus, the Spellman family. While this may have been announced as a Chilling Adventures of Sabrina Christmas episode, the episode is really about exploring the traditions of the witches in Greendale. Which, I have to say, provided a very interesting and entertaining hour of television. Sabrina and her family are visited by the spirits of Christmas past, including a few unwelcome visitors and an important figure from Sabrina’s life. Sabrina’s mother does shows up, but not in the way you’d expect. Side note: Her relationship with Sabrina, even if she was just a child when her mother died, is something I desperately want to see explored for the secrets that need to be revealed. However, the bond between Sabrina, Hilda, and Zelda needs to be strengthened a bit more before we dive into her parents and their hidden lives. Sabrina only has her aunts, friends, and Ambrose left, and I’d like to see her come to terms with this before her parents are yet again ripped away from her. Anyway, Zelda’s abducted baby, Laticia, is a key player in one of the episode’s dangerous plots. Additionally, the ending isn’t quite what anyone would expect from Zelda. The conclusion of that story is very satisfying and fixes a plot twist from Chilling Adventures of Sabrina season 1 episode 10 that I was not excited about at all. Elsewhere in Greendale, don’t expect much action from Sabrina’s mortal friends. They each have their moments (some more heartbreaking than others), but even Susie’s unexpected Christmas doesn’t give her character much to do. The biggest characters in the episode are Sabrina (obviously), Zelda, and Susie. My only issue with the episode is the treatment of Sabrina’s character. Aside from her trendy new hairstyle, there isn’t enough change to have warranted that special wink at the end of the previous episode. 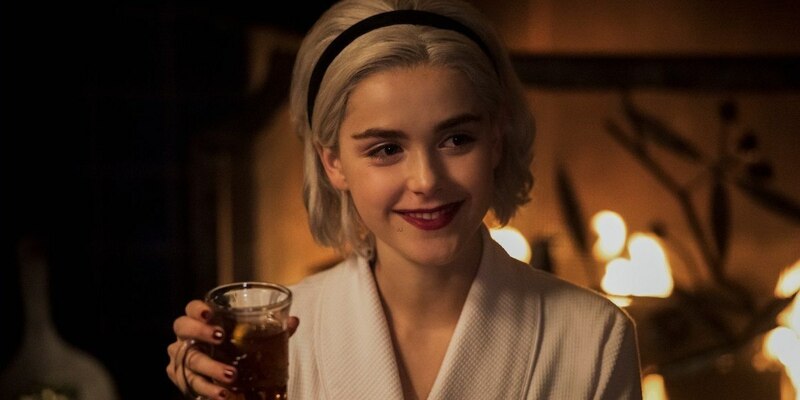 She definitely seemed a little different than she was in the other 10 episodes of Chilling Adventures of Sabrina, but not as different as suggested by the ending of the season and the trailer for the upcoming episodes in April. While I appreciate the flare and excitement of seeing inside the Spellman family’s holiday traditions, including the wacky antics of Greendale even around the holidays, perhaps it would have been better if this had been a flashback episode in its entirety. It’s clear the writers didn’t want to change Sabrina too much from the character we saw before, but the ending promised changes to Sabrina (and this episode does take place following the ending of season 1). Regardless, this was a very strong episode. It doesn’t offer a lot of plot movement to the overarching story (aside from a very surprise ending that will surely wreak mayhem in Greendale for the remaining nine episodes), but it does improve the development of several characters. Relationships are further explored, both mending and breaking the divide between various characters. The witches celebrate the Winter Solstice, there’s eggnog and Christmas treats, and the episode is all-around very fun. The Chilling Adventures of Sabrina Christmas special is very much meant to delve into the holiday traditions and superstitions of the Greendale witches. It’s (almost) supposed to be a standalone episode. However, even though it’s the holidays, that doesn’t mean the creep factor has disappeared; there are still plenty of moments that will have you shivering. The Chilling Adventures of Sabrina Christmas special is available on Netflix on Friday, December 14 for your consumption. Get some hot cocoa and settle down because it’s an hour you won’t be able to stop watching.